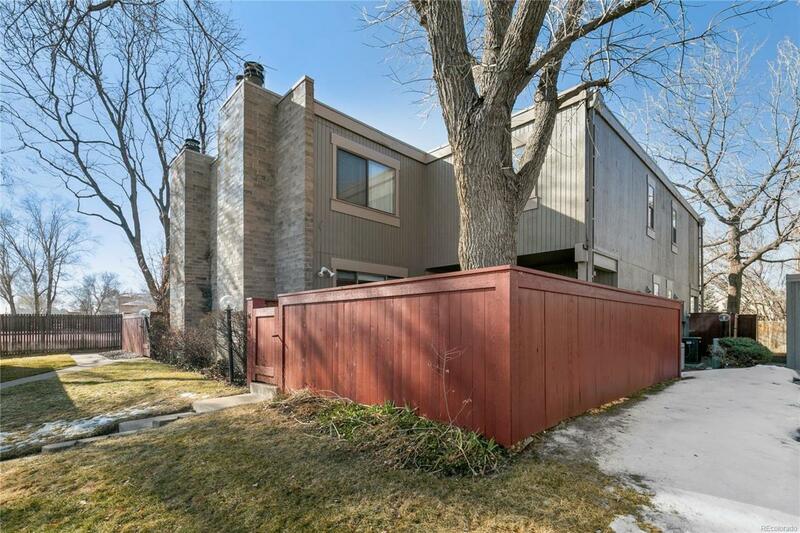 Charming townhouse tucked away in the quiet Yosemite Village townhome community in SE Denver! Private patio that is great for outdoor living. Amazing ambience inside and out! Two upper bedrooms, 1.5 baths. 1 car garage. Great layout that utilizes the space well. Wonderful location with easy access to Downtown, DIA, DTC, Lowry and Cherry Creek shopping. Convenient access to Highline Canal bike and running path. Steps away from green space. Don't miss this opportunity to own a Denver address with Cherry Creek schools.